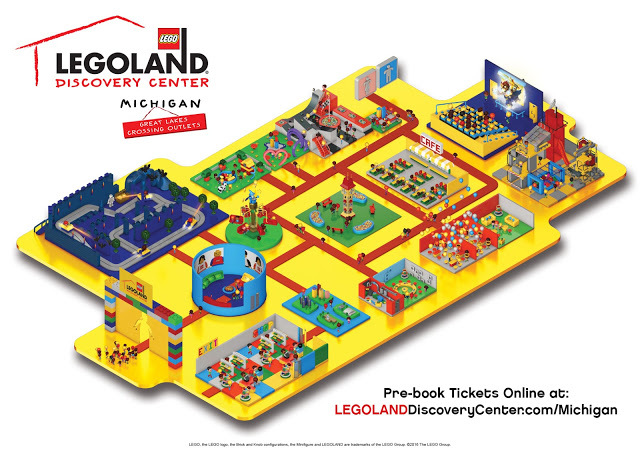 Metro Detroit is getting a brand new entertainment attraction in a few days when LEGOLAND Discovery Center Michigan opens to the public on March 25, 2016. 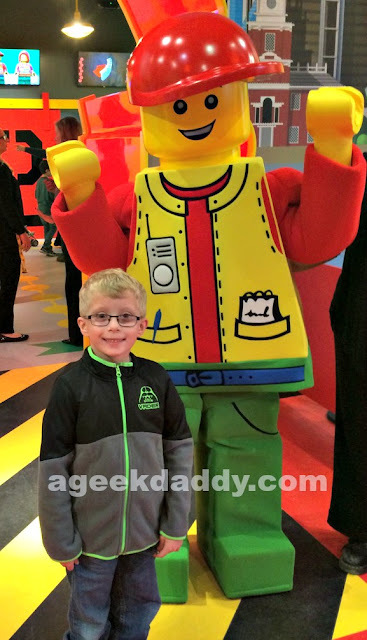 The nice folks at Merlin Entertainments invited our family to an advance sneak peek of the 32,000 square foot LEGO themed indoor facility located at Great Lakes Outlet Mall which is geared towards entertaining children ages 3 - 10. So I let my 7 year old twins play hooky from school one day for a few hours so they and I could explore the place. 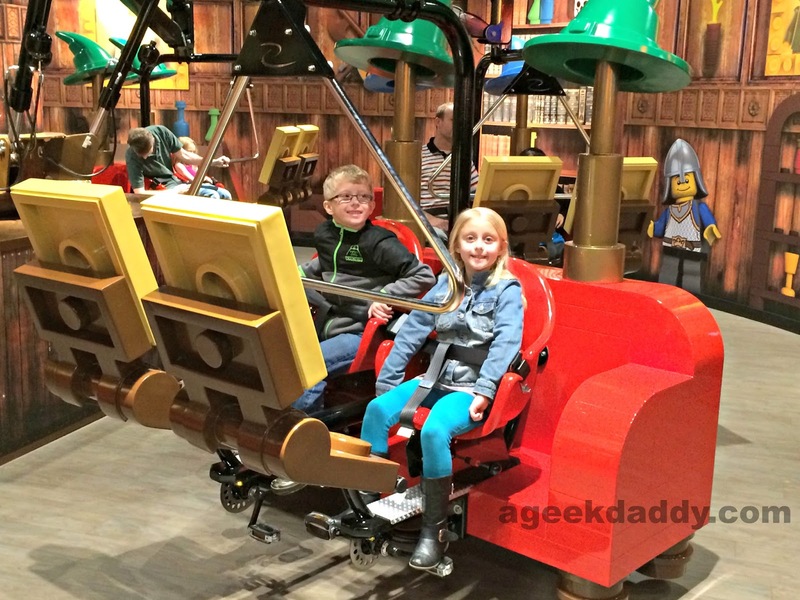 As you enter LEGOLAND Discovery Center Michigan, guests are ushered into the Factory Tour room. 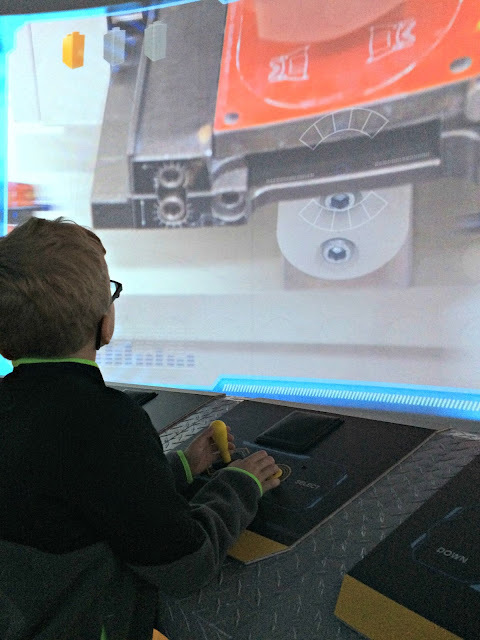 This presentation theater allows visitors to create their own customized virtual reality LEGO mini-figures projected on 360 degree screens then shows a video describing the process a factory would go through to make it. Departing the Factory Tour you enter the queue area for the first of the attraction's two rides, Kingdom Quest. 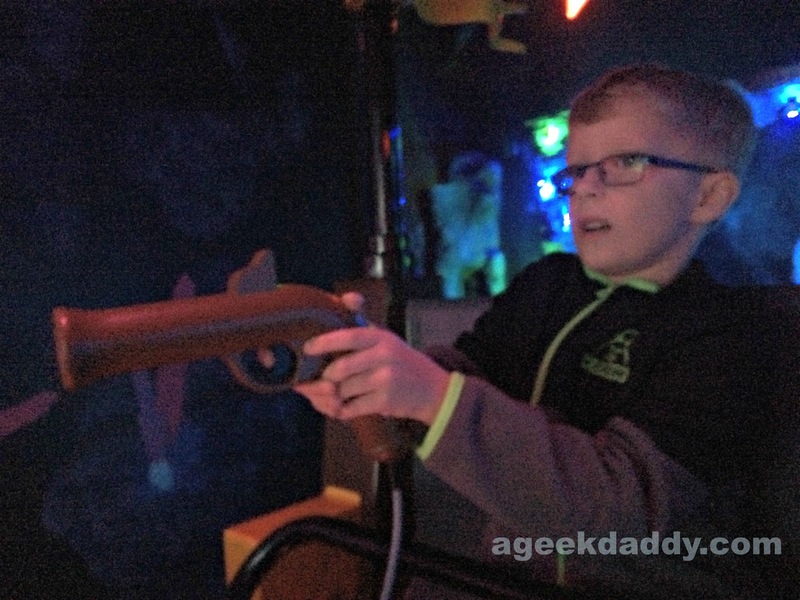 Kingdom Quest is an interactive laser shooting experience where visitors will journey into the depths of a medieval castle and zap various targets to help save the princess from the evil mage's skeleton warriors. It is a bit spooky but not overly scary so most children should be amused by the experience rather than terrified by it. My daughter was a bit tepid about getting on the ride at first but as soon as we got off of it she immediately asked if we could do it again. Kingdom's Quest incorporates both interactive video screens and physical models for riders to target with their laser shooters. All the riders in your cart try to hit the most targets to gain the most points so they can have bragging rights to being the Princess's "Champion." 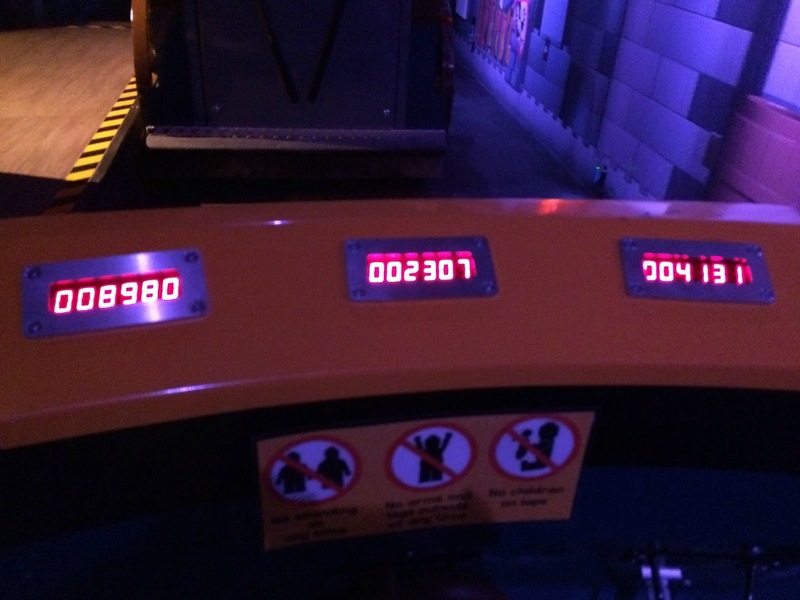 We rode Kingdom's Quest several times and this was hands down my kids' favorite part of our trip even though their competitive dad never let them win a shooting match. Next to Kingdom's Quest is the facility's other ride Merlin's Apprentice. 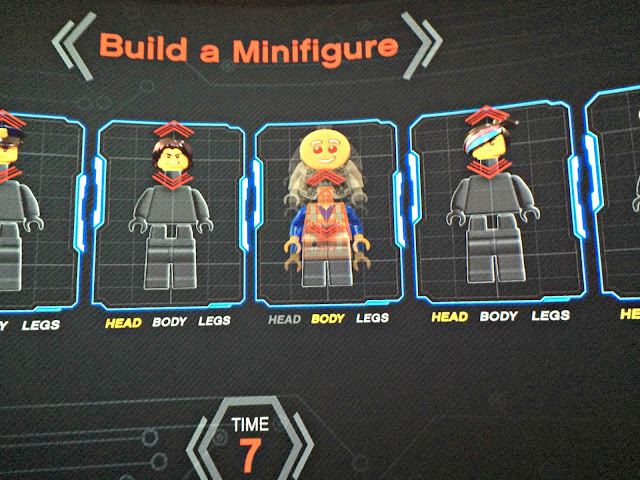 This takes riders up into the air and spins them around the sorcerer's library. Behind the rides and factory tour is a large open space that includes several themed galleries including DUPLO Farm, the LEGO FRIENDS play area, and the LEGO Racers: Build & Test Zone. There is also a LEGO Café in this space where people can wind down with hot and cold food, snacks and coffee or tea. 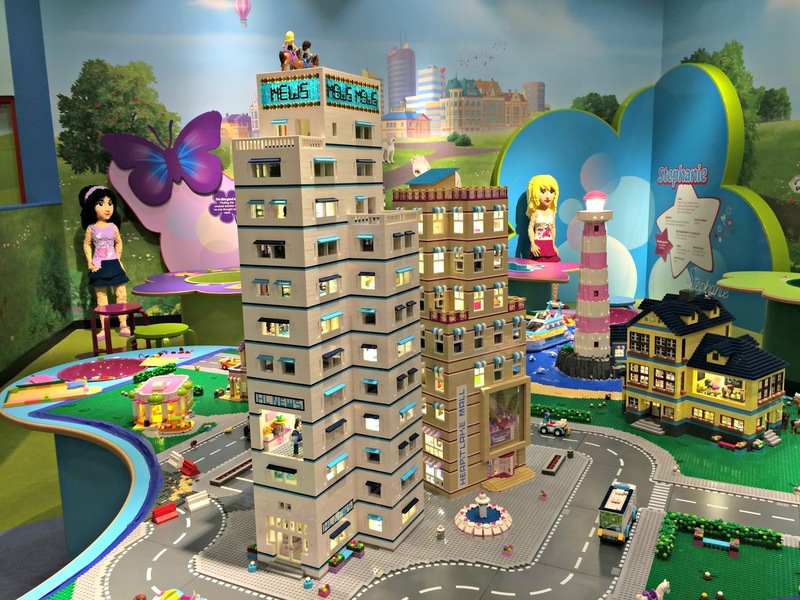 In the center of it all there is a park square filled with benches, tubs of LEGO bricks to be used for unstructured play, and a grand clock to decorate the space. 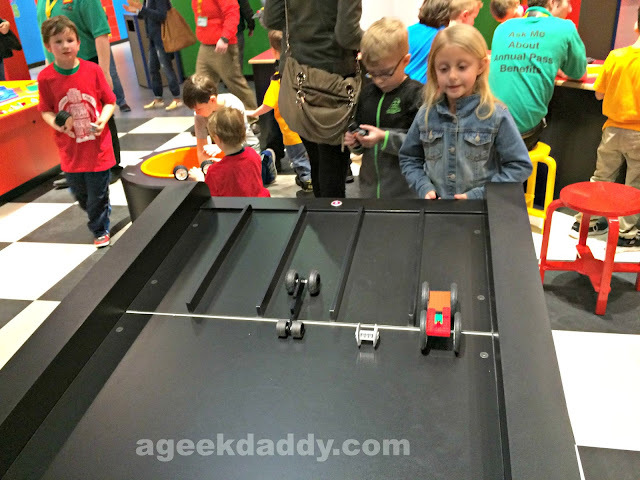 LEGO Racers: Build & Test Zone lets you build your own car and race it down a track. This area also has special earthquake stimulating tables. Build a skyscraper out of LEGO bricks and see if it can survive the shaking. 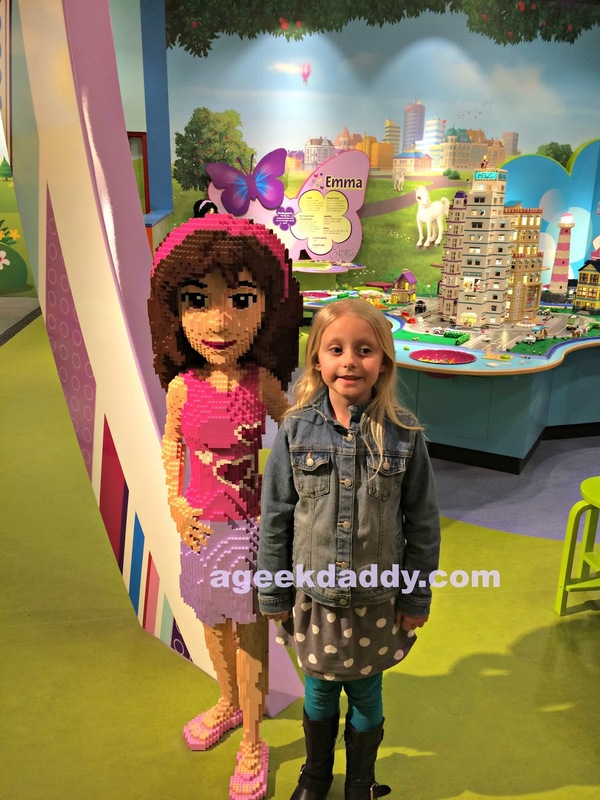 The LEGO FRIENDS section will delight the young ladies allowing them to play in and build upon the imaginary Heartlake City which is home to Olivia, Emma, Stephanie, Mia and Andrea from the LEGO toy collection. It also contains life-size sculptures of the LEGO FRIENDS. 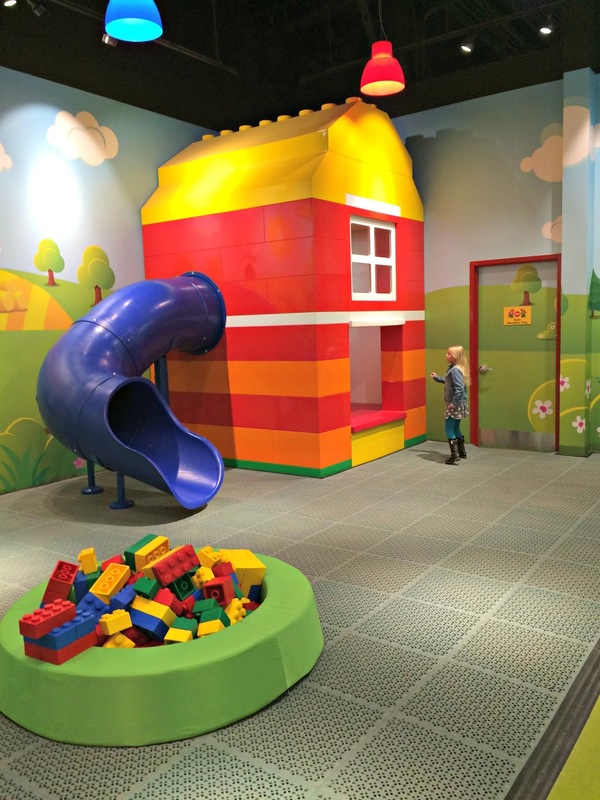 DUPLO FARM is a play zone for the Discovery Center's smallest visitors with its own play zone designed for young children and tubs of super-sized DUPLO bricks to play with. 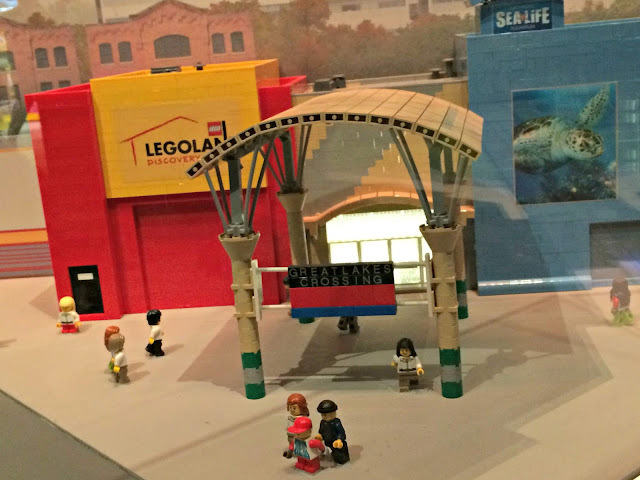 To the rear of the building is a 4D Cinema and the LEGO CITY play zone. 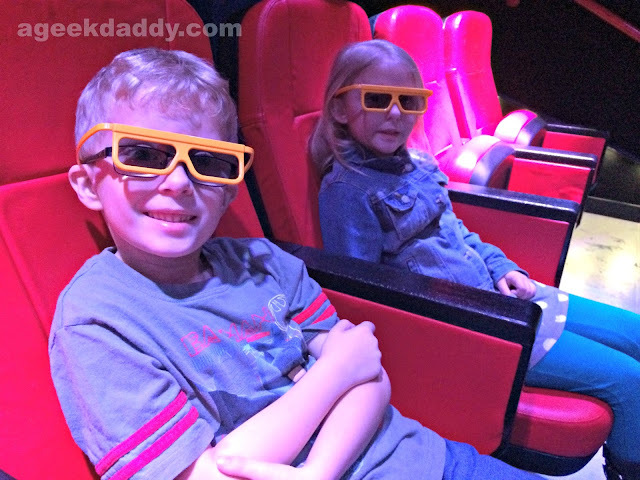 The 4D cinema shows a LEGO three dimensional cartoon with real environmental special effects let loose withing the theater making viewers feel as if they are part of the adventure as images leap off the screen and you are immersed in fog, snow and water while sitting in your seats. 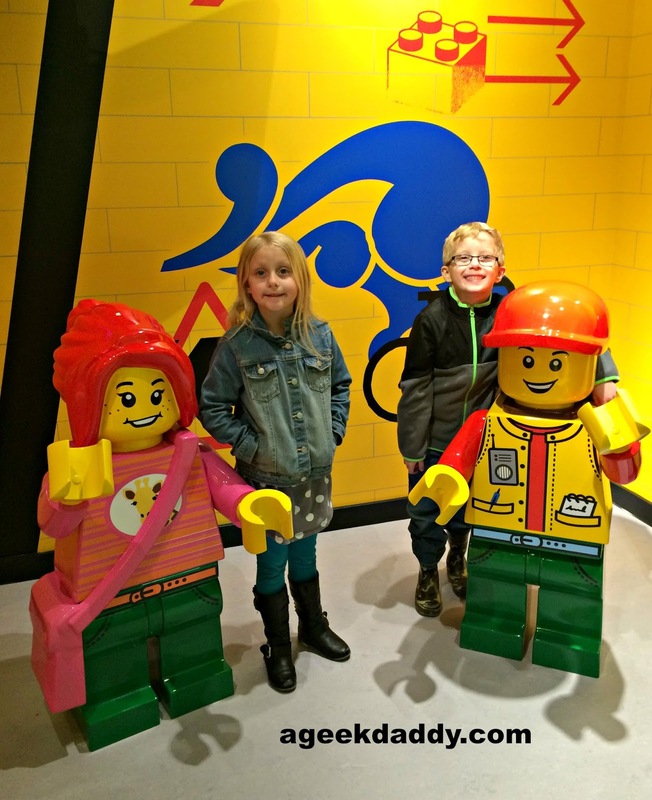 The LEGO CITY play zone next to the cinema is a great place to let kids run free and my children started begging to jump in it the second they saw this area that includes police, firefighter and construction work motifs. For those parents comfortable enough to let their kids have a long leash once you've arrived there is a nice parents lounge with big windows looking out at the main area of the Discovery Center, plush chairs and free wi-fi. 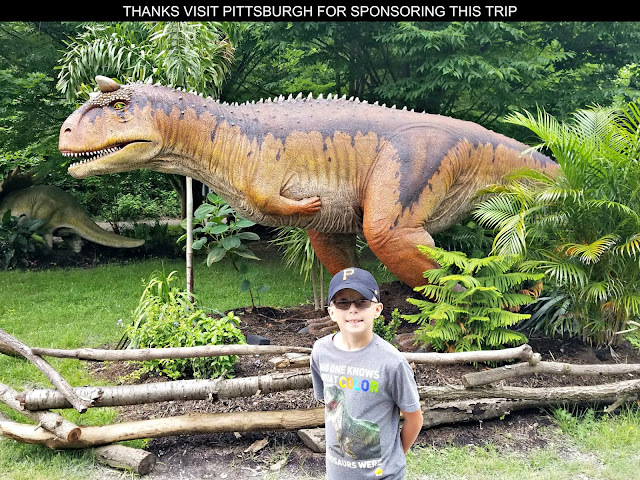 Also to give parents some peace of mind about child safety, adults 18+ must be accompanied by a child aged under 18 to gain entry to this attraction to avoid there being any questionable characters lurking around. For those 18+ who may want to come to play themselves once a month there is a dedicated Adult Night (no kids allowed) that takes place after the general admission hours are over. 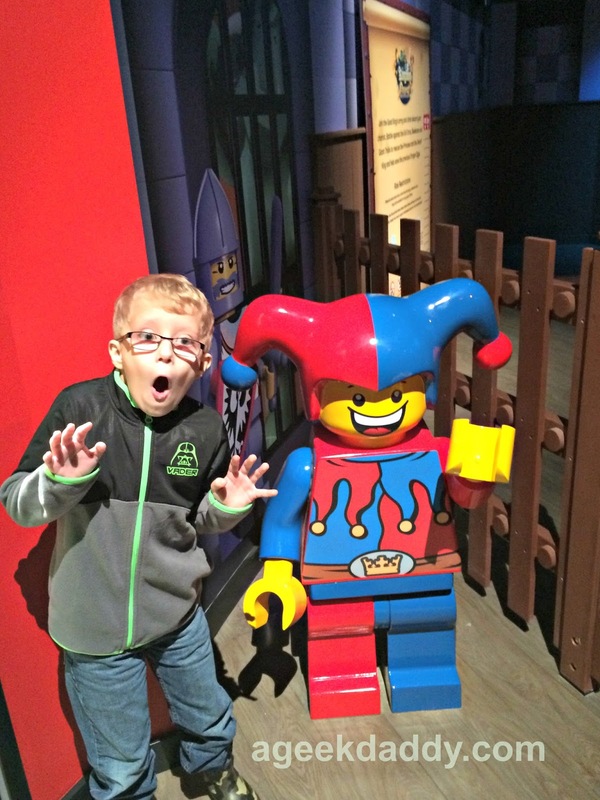 LEGOLAND Discovery Center admission hours are 10 a.m. to 7 p.m. Monday through Saturdays and 10 a.m. – 4 p.m. on Sundays. 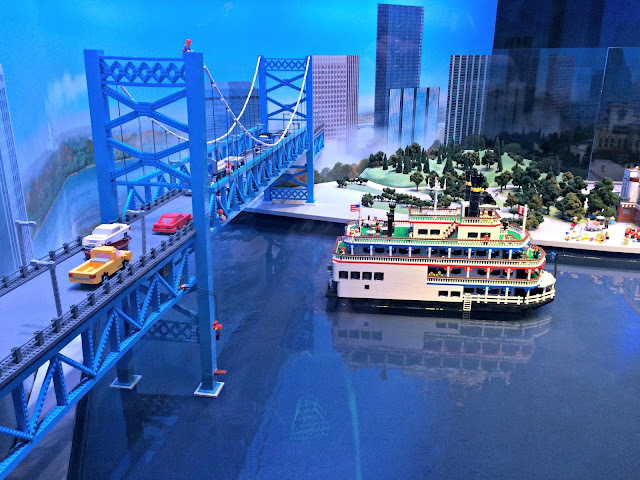 The Discovery Center remains open for 2 hours after last admission. Once your day of play has wrapped up you'll pass through a MINILAND exhibit of Metro Detroit landmarks built from LEGO bricks on the way out. Take some time to linger through this area as every five minutes MINILAND completes a day to night cycle, with the models illuminated to show off the Detroit skyline after dark. 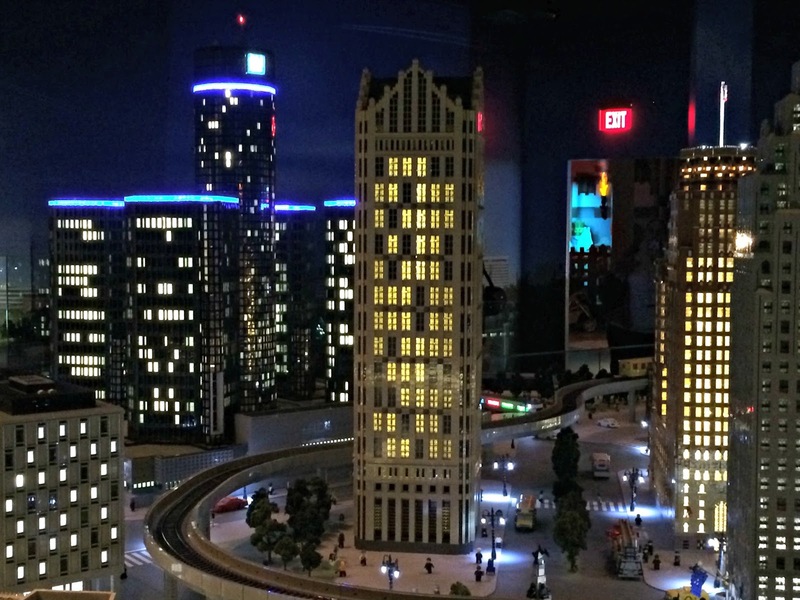 Watching a firework display in the night sky over the GM Ren Cen in the MINILAND is stunning. 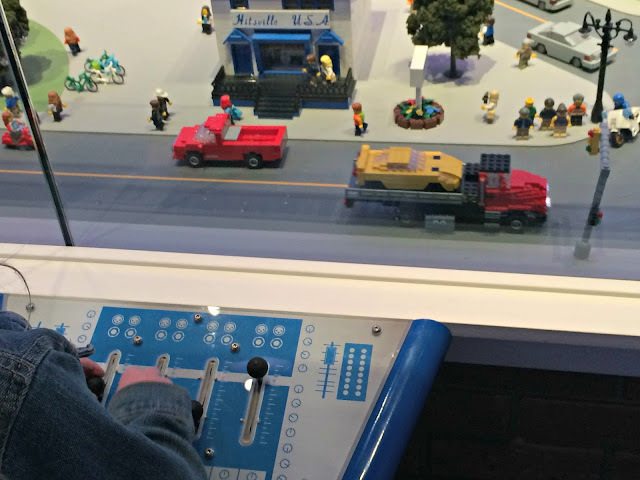 Keep an eye out for buttons and controllers located throughout the MINILAND which activate special effects within the models. 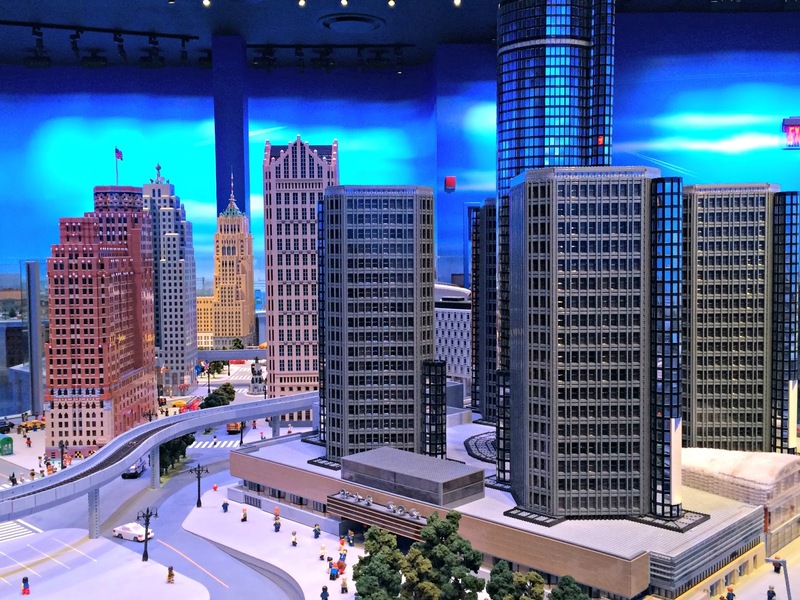 For example you can control some vehicles moving through the streets of Motown in one section of MINILAND. My kids had a great time during our visit to LEGOLAND Discovery Center Michigan and were already asking when we could go back again five minutes after we'd left during our drive home. 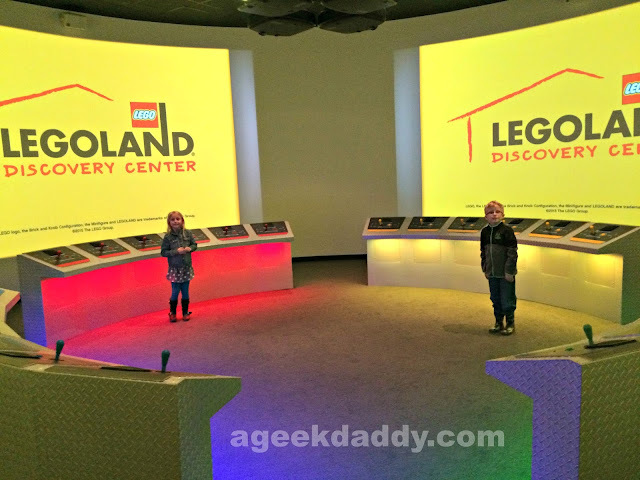 There are going to be a lot of happy kids in Metro Detroit once LEGOLAND Discovery Center Michigan officially opens its doors on March 25th. We went to Legoland discovery in Chicago. I wish there was one closer to where we live. So cool. I've been to the one in Chicago also, but do wish we had one here in Iowa. So fun. 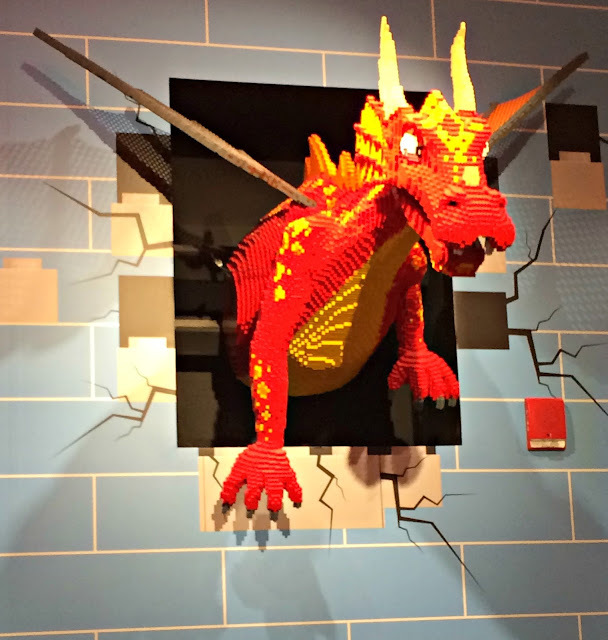 My son is really into Lego now so i know we will go here someday. 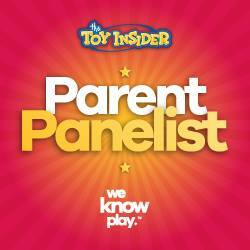 My daughter and nephew would be in heaven! They are so desperate to go! I know they would absolutely love the interactive laser shooting fun!